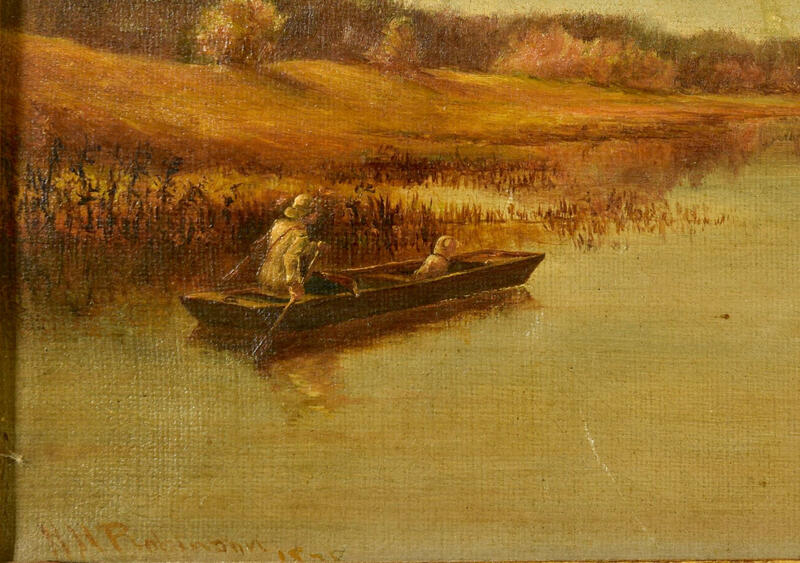 Oil on canvas autumn sporting landscape depicting a man, presumably a duck hunter, with a dog in a boat, rowing across a calm body of water with a heavily wooded area in the background. 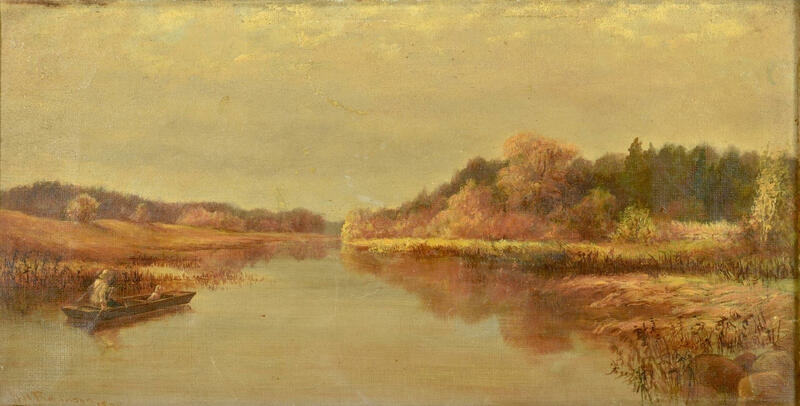 Signed lower left H.H. Robinson and dated 187_. 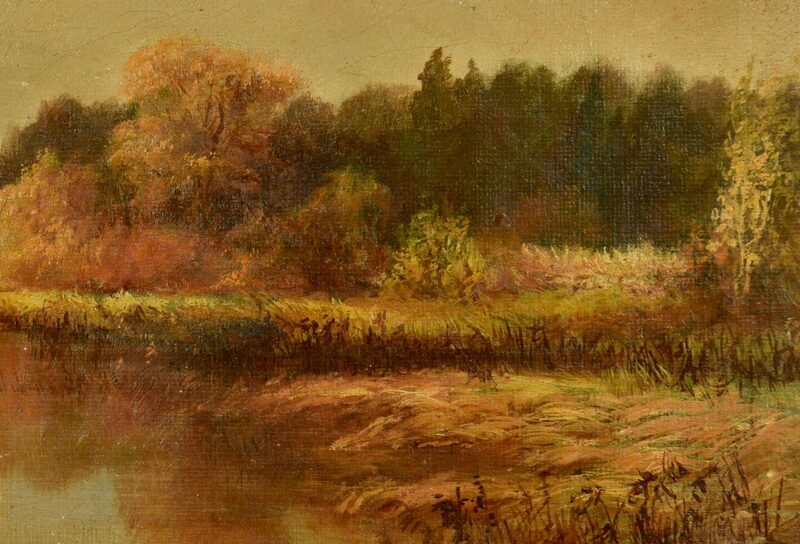 Possibly Henry Harewood Robinson (British, 1850-1904). 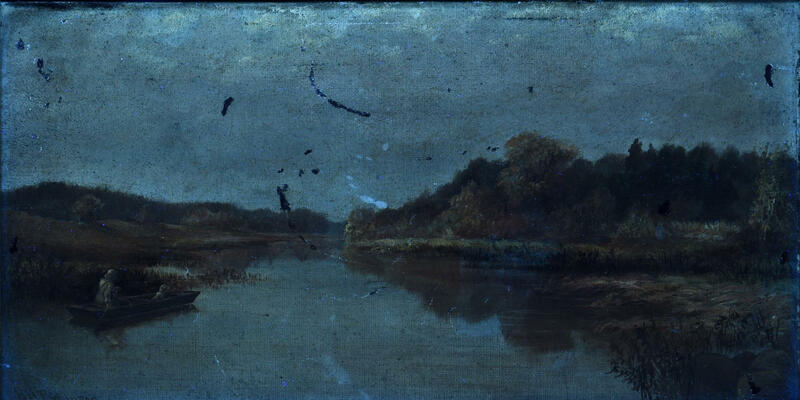 Illegible inscription and possible date on side of canvas. 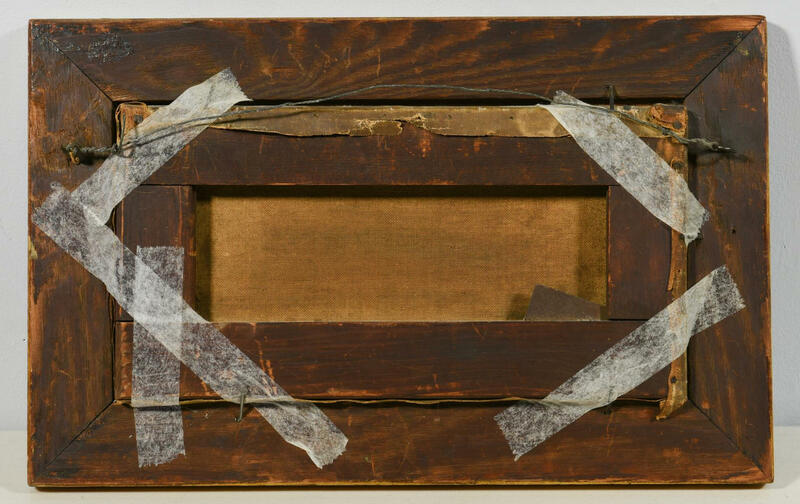 Old, possibly original stained oak frame with ebonized edges. 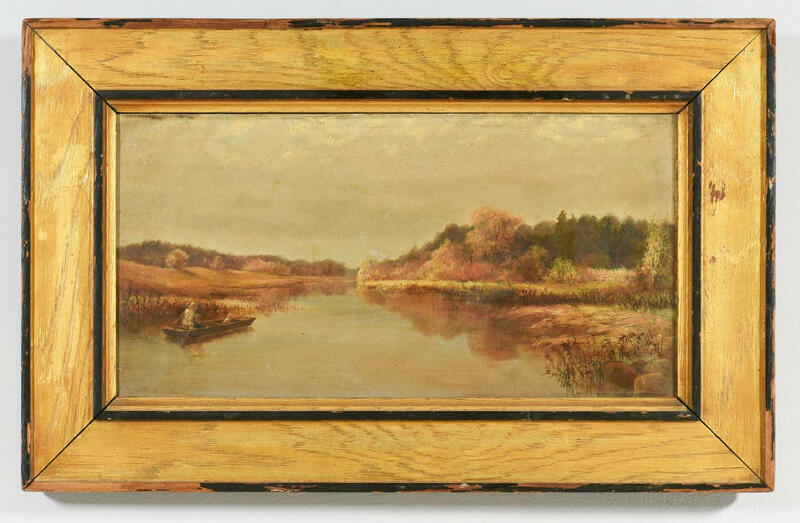 Sight – 6 1/2" H x 12" W. Framed – 10" H x 16" W. Provenance: the estate of Capt. L. Bush Cole, Nashville, Tennessee (formerly of Texas). CONDITION: Extraneous light blue paint drips in sky area, largest 1-3/8"L; 2 small paint flakes in sky area (largest 3/8"). Light overall grime.